A trust is a fiduciary arrangement between a grantor and a trustee. The grantor transfers assets into the trust, which the trustee holds and administers on behalf of a beneficiary. There are two main types of trusts – the revocable trust and the irrevocable trust. Both have their strengths and limitations and roles to play in estate planning. The field of trusts and estates law is a fast-growing legal arena, likely spurred by baby boomers approaching retirement age. A trust can be a potent asset protection planning instrument and is often part of sound estate planning. Having a basic understanding of the role trusts play in estate planning can help you reach your own goals. An estate is the net worth of a person, living or deceased, at any given point in time. It is the sum of his or her total assets, less any debts or liabilities. Estate assets can include real property of any kind, such as a house, cash, jewelry and cars or boats. An estate can also include a person’s legal rights, entitlements and other interests. Including trusts in your estate planning can help your heirs avoid probate and may help reduce or eliminate hefty estate taxes. For example, assets held in a trust go straight to the beneficiaries without the need for lengthy court proceedings. Plus an A/B trust separates the assets of the husband and wife upon death of one spouse. Assets and/or income are available to the surviving spouse. When the second spouse dies, it can double the amount that can be given to children estate-tax free. A will is often part of estate planning. Indeed, many people probably associate estate planning exclusively with the drafting of a last will and testament. The truth is that a will is only one instrument available to one who is planning his or her estate. While a will can make clear who gets what from your estate when you die, it will not avoid a probate and to minimize the death tax. A probate hearing can be delayed for as long as your heirs don’t need to retitle any estate assets. Most states also allow for a quick and relatively inexpensive probate for ‘small’ estates. This typically means estates with less than $100,000 worth of assets, excluding the amount of the main residence, if any. However, outside of these scenarios, a will has to undergo a probate, which can be costly and time-consuming. Additionally, once a will undergoes probate, it becomes a public document. The will’s executor has to file a petition in court and inform all the known heirs and beneficiaries. A notice is usually placed in a local newspaper to alert creditors of the process. The contents of the estate, as well as the distribution of assets, ceases to be a private matter. An important tip is to create a trust can help your heirs skip probate and keep your affairs private. Upon the death of the trust grantor, assets held in a trust pass directly to the named beneficiaries. If you left a will and a trust, only the assets named in the will has to undergo probate. This is the most common piece of advice that estate planning professionals give their clients. Setting up a trust is a strategy allows your heirs to skip probate and keeps your private affairs just that – private. The revocable trust is also known as a living trust or an inter vivos trust. It’s often the kind of trust used in estate planning. In this type of trust, you, as grantor, fund the trust with assets you wish to leave to your beneficiaries. You can appoint a trustee or name yourself as trustee. In fact, in an inter vivos trust, this is often the case – the grantor and trustee are the same person. In this way, you retain a significant amount of control over the assets in the trust during your lifetime. You can even name yourself as beneficiary of a living revocable trust. Upon your demise, the assets pass on to the other named beneficiaries of the trust. If you serve as grantor and trustee of a revocable trust, you must name a successor trustee. This person will take over management of the trust upon your demise. An inter vivos trust keeps your assets outside of probate. However, you must make sure you title every property or asset properly. Missing just one can kick your entire estate back to probate, revocable trust notwithstanding. Done right, the assets in your revocable trust skip probate and go directly to your heirs and beneficiaries. Estate planning is probably not something you want to take on without expert guidance. After all, you won’t be able to reach out of the grave to fix mistakes when you pass on. Your beneficiaries may be left in exactly the kind of legal limbo you wanted to prevent in the first place. Assets in a revocable trust may be safe from probate, but they are not necessarily exempt from estate taxes. You retained a considerable amount of control over them when you were alive. This means they can be considered part of your estate when you die. Using an irrevocable trust instead of an inter vivos trust can help you avoid this possibility. Unlike the revocable trust, you no longer have control of the assets of the trust once you’ve established it. That task will belong to the trustee. Since you surrendered control over the assets when you were alive, they will not be considered part of your estate when you die. It comes down to how much control over your assets you’re willing to give up. The amount of control you retain over trust assets makes them part of your estate – or not. Your heirs can end up saving a considerable amount on estate taxes if you use an irrevocable trust. It’s understandable if you’re uncomfortable with the thought of giving up control over your hard-earned assets during your lifetime. What if you suddenly need the assets? What if you have a change of mind or heart? You can prepare for this through a careful wording of the trust deed. The trust deed (a.k.a. trust agreement) contains your instructions, as grantor, to the trustee concerning the administration of the trust. The trust is also where you can enumerate certain conditions that heirs must meet for the proper distribution of trust assets. A trustee’s first duty is to protect the trust. But right up there is his or her obligation to honor your wishes as grantor. Therefore, you must use precise and unambiguous language when you draft the trust deed. This is the only way that you can continue to “control” an irrevocable trust. Don’t like the trustee? Great. Fire him and assign another. Here is big one. Set up a Medicaid trust and transfer assets into it. When setup properly, and your assets have been inside for five years or more, Medicaid can pay for your nursing home costs. Once again, this is an area where a knowledgeable trust and estate lawyer or professional can help. You can utilize the number or inquiry form on this page. Although there are only basically two types of trusts – irrevocable and revocable – there are several different kinds of trusts under each one. Deciding which one to use in your estate planning depends on your goals and the type of assets you own. If your estate is cash-poor, consider setting up an irrevocable life trust insurance (ILIT). This excludes life insurance benefits from your estate and provides liquidity to your heirs and beneficiaries when you die. They can pay any estate taxes that become due from the life insurance benefits. And since an ILIT is also outside probate, they can have access to money sooner rather than later. A charitable remainder trust (CRT) will provide income for your beneficiaries for a predetermined length of time. After this, the remainder of your trust goes to a charity of your choosing. This type of trust is typically set up by individuals when their children are still quite young. They want to make sure their heirs will be provided for while they cannot yet fend for themselves. When they become independent and no longer need assistance, the trust can benefit your favorite charity. A CRT is usually a revocable trust. These are just two examples of the kinds of trust you can use in estate planning. There are several others, and an estate and trust professional can guide you in deciding which one/s will serve you best. 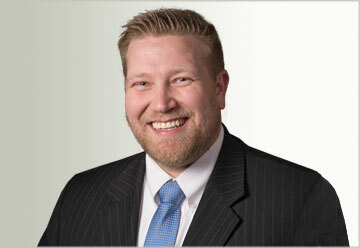 Trusts can play an essential role in estate planning. They can help your heirs and beneficiaries avoid probate as well as estate taxes. A revocable trust gives you considerable control over your assets during your lifetime. However, it may not exclude your assets in the estimation of your estate’s worth. If this happens, your heirs may be stuck with a steep estate tax. Assets in a revocable trust, though, are exempt from probate. An irrevocable trust also exempts your assets from probate and can save your heirs from a substantial estate tax. Because you surrender control over the assets in an irrevocable trust, they’re not included in assessing your estate’s worth. There are several different kinds of trusts you can use in estate planning. The goal you have for your assets as well as the type of assets you own will largely determine which type of trust or trusts you use. One final reminder: review your estate plan regularly. Certainly do so after a major life change, such as marriage or the birth or adoption of a child. Barring any big change, make it a habit to review your estate plan at least once a year anyway. You may have had a change of mind without realizing it, or wish to benefit a new charity. Estate planning is not a one-shot deal. Much like most things in life that matter, it deserves to be revisited regularly and adjusted if needed. 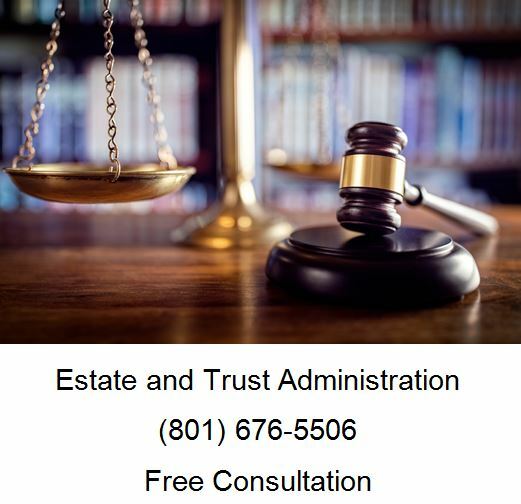 If you are here, you probably have an estate matter you need help with, call Ascent Law for your free consultation (801) 676-5506. We want to help you.